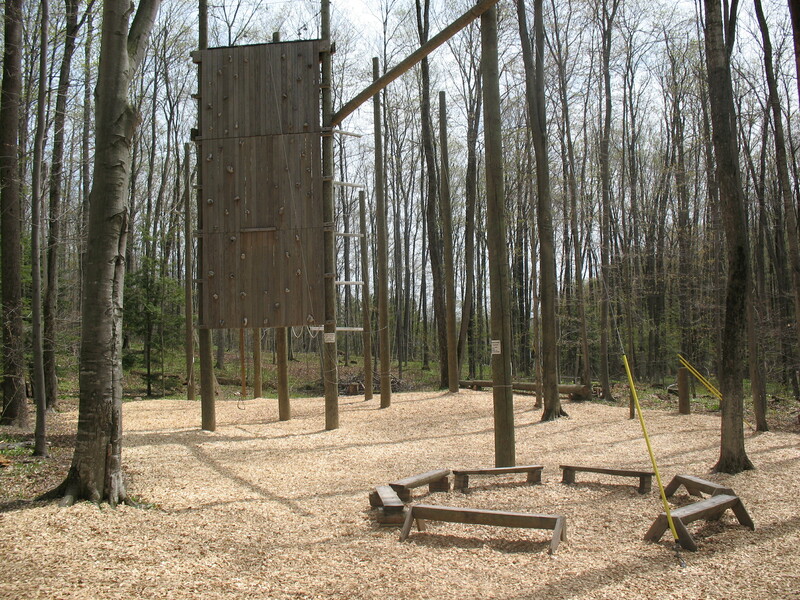 The Camp Daggett Adventure Center is the dream and vision of John Heinzelman. As a teacher in the Public Schools of Petoskey, John recognized the power and impact that play can have in the classroom. He worked to inject experiential education methodology and team-building opportunities into his classroom, as well as, the culture of his school with great success. Students developed greater problem-solving, collaboration, and communication skills, higher self-esteem and began to tackle challenges and goal-setting with eagerness and excitement. 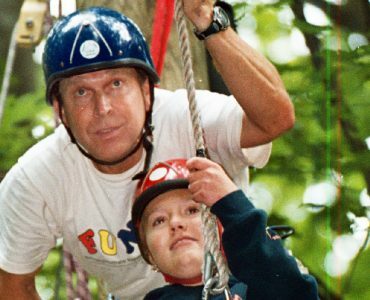 With evident growth in the classroom, John looked for new ways to provide experiential programming to a greater audience, and in 1997, he collaborated with Camp Daggett to complete our Outdoor Adventure & Ropes Course. This course, which is still used today, provided the opportunity to deliver experiential programming to all of our Northern Michigan communities and beyond. 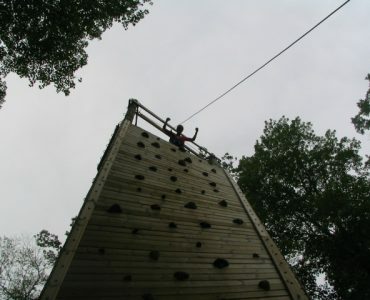 However, with harsh winters limiting our programming year, and excitement from our communities growing like wildfire, Camp Daggett saw the need to expand, and in 2002 the Camp Daggett Adventure Center was completed. With the support of the community it serves, this indoor facility allowed John’s dream of providing unique experiential programming to groups of all ages, to become a year round reality. Today, we are proud to continue John’s vision as we work every day to grow and expand this great program. His passion for play and dedication to experiential education is a constant reminder to everyone who enjoys this place; that we never know what we can build, how much we can grow, or how high we can climb, unless we try.